Based on MySQL 5.1.62, including all the bug fixes in it, Percona Server 5.1.62-13.3 is now the current stable release in the 5.1 series. All of Percona‘s software is open-source and free, all the details of the release can be found in the 5.1.62-13.3 milestone at Launchpad. New option rewrite-db has been added to the mysqlbinlog utility that allows the changing names of the used databases in both Row-Based and Statement-Based replication. This was possible before by using tools like grep, awk and sed but only for SBR, because with RBR database name is encoded within the BINLOG ‘….’ statement. Release notes for Percona Server 5.1.62-13.3 are available in our online documentation. Based on MySQL 5.5.22, including all the bug fixes in it, Percona Server 5.5.22-25.2 is now the current stable release in the 5.5 series. All of Percona‘s software is open-source and free, all the details of the release can be found in the 5.5.22-25.1 milestone at Launchpad. While running the test case found that MEMORY engine may return rows in non-deterministic order for equal keys. Bug fixed #892951 (Laurynas Biveinis). Release notes for Percona Server 5.5.22-25.2 are available in our online documentation. In general it shows stable throughput topping to 148 MiB/sec, but every 20 min, there is small drop to 87 MiB/sec, which I guess is related to internal garbage collector activity. We are getting to the peak throughput at 8 threads. 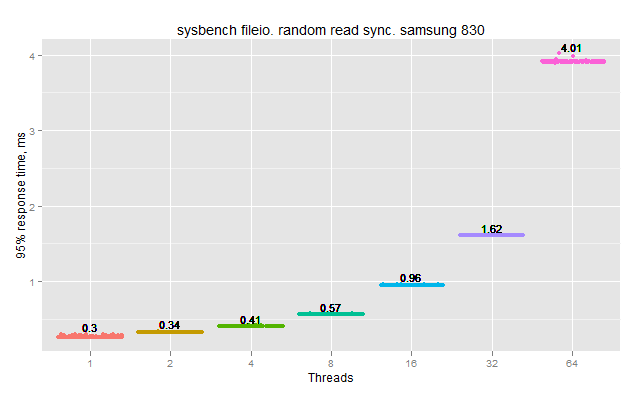 For 8 threads, we may expect 0.62ms response time. In general I have very good experience with this card, and it seems suitable to work with MySQL. 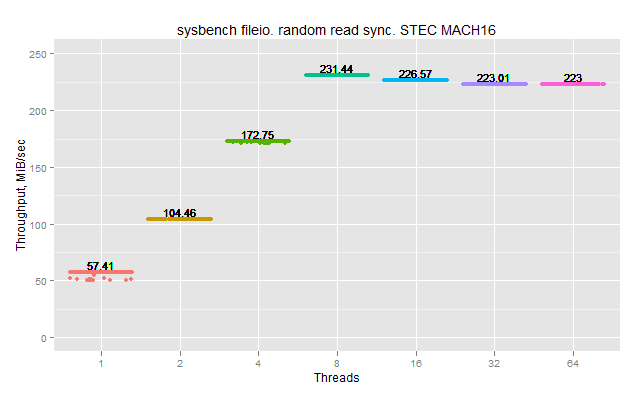 I will publish sysbench oltp benchmarks running MySQL on RAID10 over 4 STEC MACH16 cards. Disclaimer: This benchmark is done as part of consulting work for STEC, but this post is totally independent and fully reflects our opinion. Working on customer case today I ran into interesting problem – query joining about 20 tables (thank you ORM by joining all tables connected with foreign keys just in case) which would take 5 seconds even though in the read less than 1000 rows and doing it completely in memory. 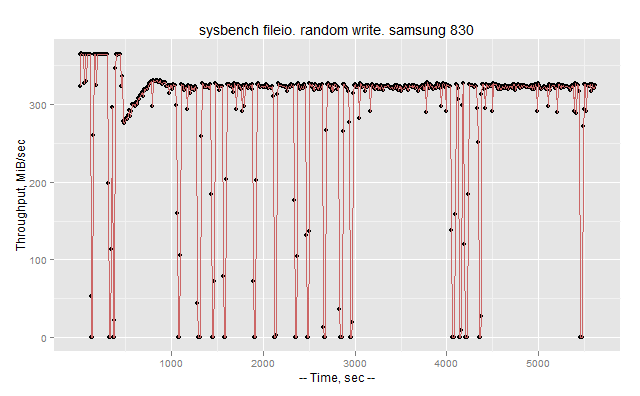 The plan optimizer picked was very good one, yet you could notice EXPLAIN itself was taking same 5 seconds, which points to problem with optimizer performance. Note though if you have subqueries these might need to be executed during EXPLAIN phase yet making it unusable to check the optimizer performance. Solution for this problem was to use set optimizer_search_depth=0, rarely used option which as per manual will chose best value automatically. 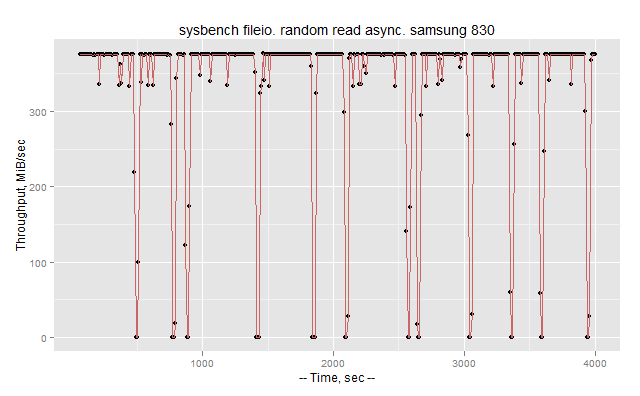 Making this change I could bring optimization, and full query execution time to less than 50ms. Low values, such as 3,4 provided a bit better performance but I decided against using this as I did not want to risk likehood of execution plans changing for some over queries joining less number of tables. From the same discussion we can learn how automatic selection works – it picks value of min(number of tables, 7) essentially limiting search depth to no more than 7 at which complexity is reasonable. This makes Timour explanation somewhat conflicting though as if we assume MySQL users do not join lots of tables (less than 7) when using 0 as default value would not impact them. For people who have more than 7 tables in join I think faster execution plan computation would be more important than backward compatibility. 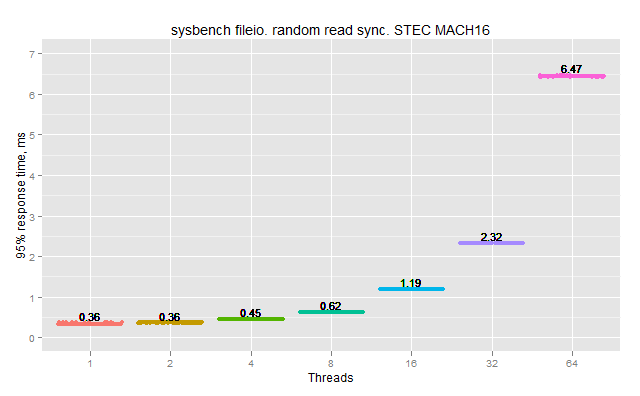 In MySQL 5.6 things are likely to get even better handling joins of many tables as optimizer heuristics are improved so much higher search depths are feasible now. 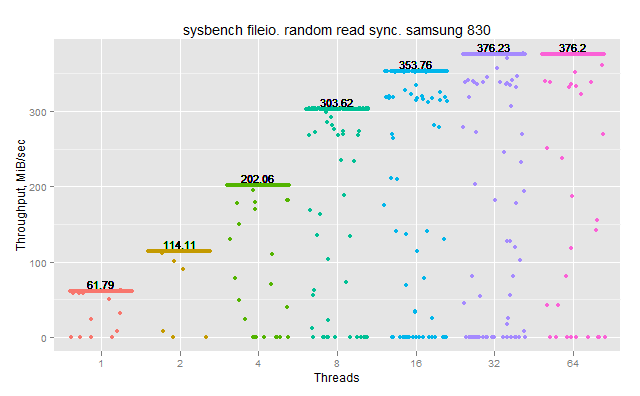 I am saying that not to complain, but to make sure, if you are going to benchmark XtraDB Cluster yourself, there is a lot of things to take into account. And it seems that one component, which was not much important before, now appears as critical peace, which easily can became bottleneck in the benchmarks – this is network. 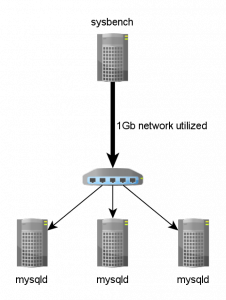 In case of simple client-server setup, the network is not fully utilized. 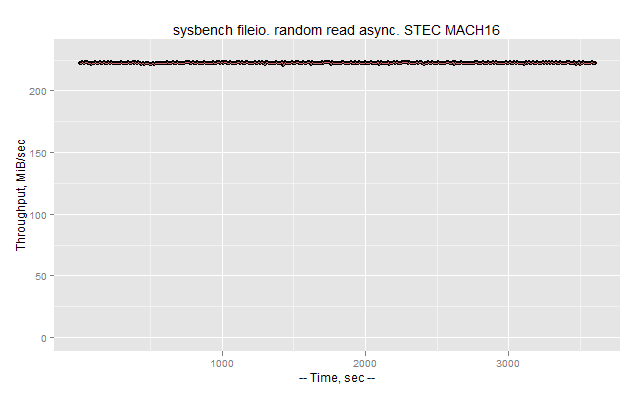 But as we start testing a cluster setup, the 1Gb network between client and switch is getting fully utilized by sysbench communication with 3 nodes. In this setup it does not make sense to increase number of nodes, as we will not be able to load them properly. The solution would be to increase network capacity or add additional client boxes. Now take into account that there is an internal network communication between nodes also, and that makes a network tuning as the critical part of a cluster setup. This is not something we paid much attention before. 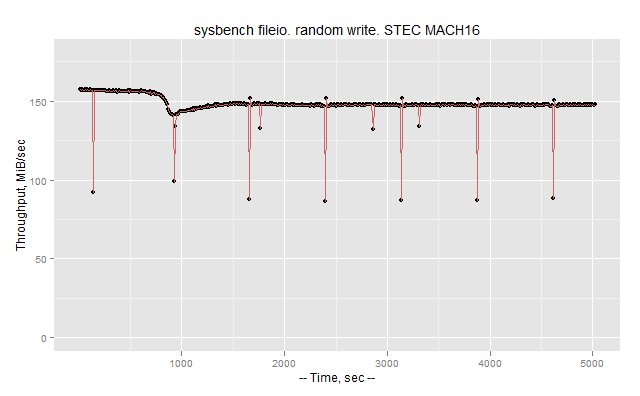 The main conclusion of this post is that if you are going to benchmark a Percona XtraDB Cluster or just use it under intensive communication workload, pay an attention to network component. It is very easy that a client or a client network becomes bottleneck. It has been a pleasure to be part of the tutorial, if you have any question, feel free to contact either Florian or myself. On April 25 & 26, 2012 the Open Source Data Center Conference will invite experienced administrators and architects for an exchange with international open source experts. OSDC is about simplifying complex IT infrastructures with Open Source and offers an ideal opportunity to meet with open source professionals and insiders, gather and share expertise and benefit from their comprehensive experience in open source data center solutions. The conference is especially adapted to experienced administrators and architects. An essential aspect of the OSDC is the opportunity for social networking and community building. Beside the comprehensive conference program, there will be much space to get together, to exchange experiences with the open source community as well as for exciting discussions around open source data center solutions. With focus on the main topic “Agile Infrastructures”, open source experts like Kenny Gryp (Percona), Mark Burgess (CFEnigine), Kris Buytaert (inuits) or Kristian Köhntopp (booking.com) will cover the entire scope of application of open source software in data centers and huge IT environments. The bilingual conference program is divided into the three sessions, „Devops and Methods“, „Databases“ and „Scalability and Infrastructure“ and thus provides the latest know-how for the daily practice. Additionally there is the possibility to deepen knowledge in one of the following three in-depth workshops „Open Nebula“, „IPv6“ und „Puppet Configuration Management“, taking place on the day before the conference (24th April 2012). If you have never attended Percona Training, or want to refine your skills, now is the time to register! All training dates are open for early registration. Register today and ensure your place! With 98% of attendees willing to recommend Percona’s MySQL courses to a friend you know the training is going to be good. If you do not see a date or location that works for you and/or your organization, we can arrange a private onsite course at your location. I’m happy to announce that version 1.0 of Percona Monitoring Plugins is now available. The Percona Monitoring Plugins are high-quality plugins, templates, and add-ons for Nagios and Cacti, so you can add world-class MySQL monitoring to your existing enterprise open-source monitoring products. Version 1.0 fixes a variety of bugs that users found in version 0.9.0. Here are the usual links: changelog, documentation, downloads, source code, bug reports, mailing list, and of course, you should purchase a support contract.